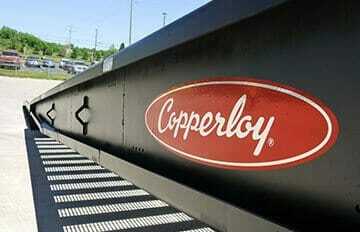 Copperloy’s high-quality loading dock equipment is available from dealers throughout the state of Michigan, including Lansing, Grand Rapids and Ann Arbor. Our distributors can supply your facility with heavy-duty loading dock ramps or custom steel manufacturing to match a unique challenge at your operation. Our suppliers in Michigan can help you create a loading dock where none exists with a portable loading dock, or allow vehicles to easily travel from grade level to dock height with dock-to-ground ramps. We also have decades of experience with custom steel manufacturing. Everything is proudly made in the USA with our state of the art facility and equipment, and our expert engineers and machinists can tackle any challenge.